SMILE stands for Small Incision Lenticule Extraction. So as you can now see, it is nothing to do with getting pearly whites or a trip to the dentist. It is the newest third generation technology in laser eye surgery to hit our streets! Hats off to Zeiss for thinking up such a genius new method in laser vision correction and creating the VisuMax Femtosecond. Not too sure what we are referring to when we say ‘third generation‘? Here is a brief explanation of what that term means. What does this mean for all of our glasses and contact lens wearing friends out there? Well, we’re glad you asked! Currently, SMILE can treat high degrees of short-sight (known as ‘Myopia’ in the optical world) and astigmatism (still known as ‘astigmatism’ in the optical world). We’re told that this surgical method will be able to offer long-sight (hyperopia) corrections in approximately 2019 so watch this space. There are many people out there that have been for consultations, only to leave feeling disappointed after being told they are not suitable for one reason or another. It might be that your cornea was too thin for LASIK or that you couldn’t play rugby for a month or that previous damage to the cornea means that it might be unsafe to compromise the stability of the eye further… It could be for a number of reasons. SMILE can be performed on those of us with a thinner cornea (clear window on the surface of the eye), you can go back to your daily routine after 1 day including work, contact sports, swimming and many more and those of you with scarring or damage to the eye from previous trauma are now considered! 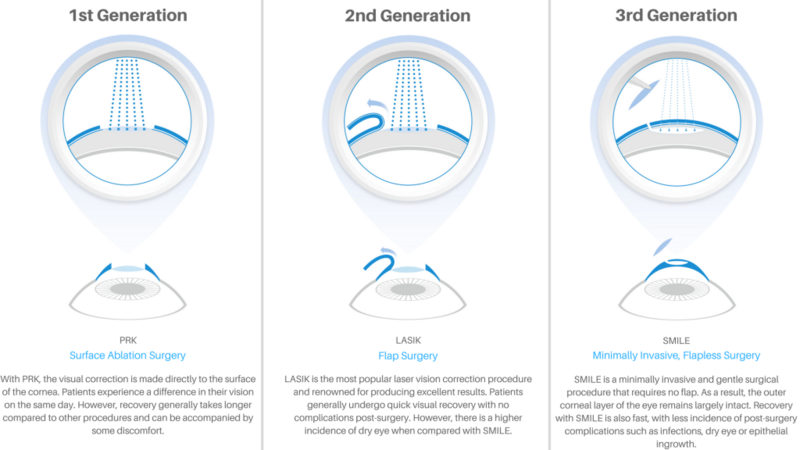 This video gives a great visual comparison for all three generations of laser eye surgery and why SMILE has people smiling. Where will you get the best results, service and at the best cost in WA? Currently, Laser Sight in Perth are offering this amazing new technology with Dr Graham Furness, one of WA’s most experienced refractive surgeons, at a promotional cost of $3400 per eye which is for a limited time only and can be spread completely interest free over 2 years! 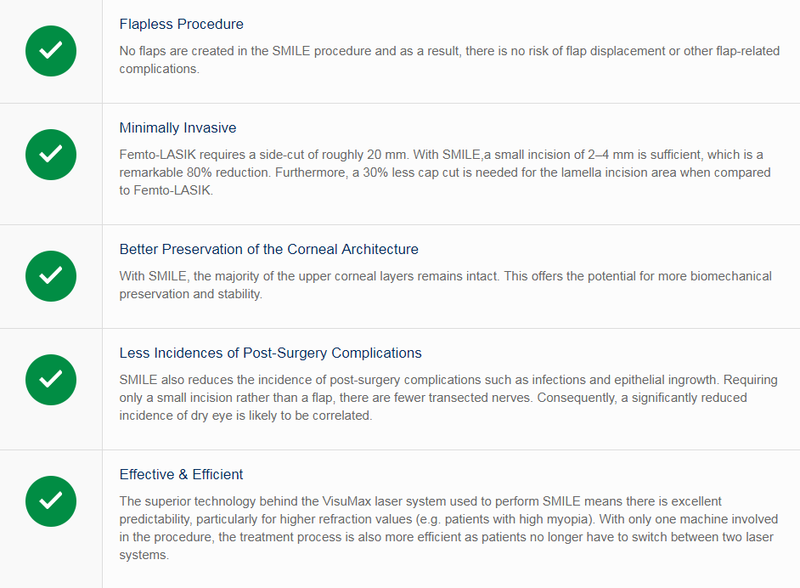 This is the best in WA with most clinics charging upwards of $3700 per eye! Just wondering how much would that be cost for the smile laser eye surgery? I have the short sighted -2.50 of both eyes. Also how many times follow up appointment will be included? Which doctor will do the surgery?